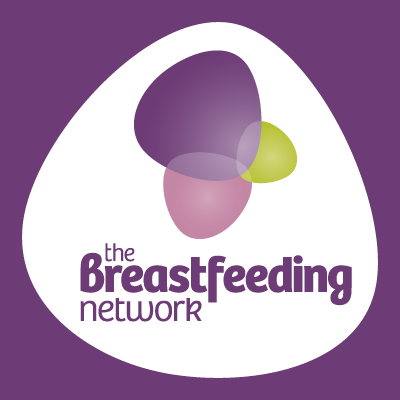 The Breastfeeding Network (BfN) is a UK charity providing support and information to Mums and families, through its network of staff and trained volunteers. Unusually, the charity’s management and admin team all work part-time, and from home. That flexibility has helped the charity to save on office costs and attract a talented team of working Mums. To find out how they make it work, we spoke with Felicity Lambert, the BfN’s National Breastfeeding Helpline Manager, about her remote-working life. Hi Felicity. Can you tell us a bit about your role? I’m the National Breastfeeding Helpline Manager at the Breastfeeding Network (BfN), managing the breastfeeding helpline team, and I also help with communications. A flexible, remote-working management team is really unusual for a British charity – why did the BfN decide to go remote? It really came about because of how the organisation has grown. It was started by a group of Mums with young children, and working flexibly and from home was really the only practical option. Today, the main management team and some administrative staff all work from home. The BfN team isn’t totally remote – we also have an office in Paisley which is home to our small Admin team. And each of our 15 projects around the UK has local staff and volunteers, often working out of a children’s centre or similar organisation. With so many of us working from home, it’s saved money, cutting down our office costs – although we do have to spend a bit more on conference calls and travel to meetings. Offering remote working also means we can recruit the best person for the job – we’re not restricted to looking for candidates close to the head office. And home-working really works for our team, who are all Mums. I’d previously always worked in an office, so working from home was new for me. I found that working in an office was fine with my first child, but then my second child came along. This role came up at the end of my second maternity leave. Working remotely was definitely one of the factors that made me apply – and the hours are flexible too, which made it really attractive. What was the transition from working in an office to working from home like? The transition wasn’t too bad because I had sometimes worked from home before. The BfN helped with things like providing a laptop, and they use a cloud-based system to share files, so everything you need is still available. The biggest difference for me was not being around other people day-to-day. Coworking can get expensive, so I tend to work from home. I found I did need somewhere to be my work-space – at first, we did up a garden shed and I worked from there, but then we moved house and I now have a dedicated office to work in. What would you say to other Mums (or anyone!) thinking of working remotely? To anyone else thinking about going remote, I’d say, do think through your work set-up if you’re planning on working from home. Working from the kitchen table isn’t ideal long-term, you really do need a bit of dedicated space. I’d also think about how you’ll manage the lack of social interaction. If you’re a working parent doing the school run, there’s at least that point in the day when you’re out and talking to other people. If you don’t have that, it would probably be a good idea to think about what you need in terms of contact with other people, and how to organise that. What does your typical day look like? How do you and your colleagues work together? I work 26.5 hours per week, mainly from home, and I work until 3pm – although I sometimes need to be ‘on call’ to deal with things outside of those hours. We have a teleconference every two weeks for the central team managers, and sometimes people have other Skype catch-ups in-between. We also do a lot of emailing – although we’ve just started looking at Yammer as another way to stay connected. All our files are shared online, so we can work on those wherever we are. For things like staff reviews, managers tend to do 1:1 catch-ups each quarter, and once a year in person. The management team also have an annual get-together. If a couple of us are going to something like a conference, we’ll try to make the most of that time and schedule some time to get together in person while we’re there. Working remotely was definitely one of the factors that made me apply – and the hours are flexible too, which made it really attractive. What do you love or loathe about working remotely? On the plus side, working from home means no time wasted on commuting, which really helps with work-life balance. I can do the school drop-off, and pick-up. Because I have part-time, flexi hours, I can fit in things like some exercise during the day, as long as I’m on top of my workload. If one of the children is ill, it’s not so disruptive for me to work from home to be with them. The flip-side is that the line between home and work can get blurred. That’s particularly true for me because of role managing the national helpline, which is open all year round and in the evenings. Obviously, we can’t socialise in the same way, we’re not popping to the pub after work! But I do still feel part of a team. Maybe it also helps that we’re quite a small team; we do talk regularly, and not just about work issues. I think it’s also because of what we do – as a charity, we really have a common goal that we believe in. Many thanks to Felicity Lambert at The Breastfeeding Network. Find out more about working at the BfN and see any current remote job vacancies here, or learn more about their work here.